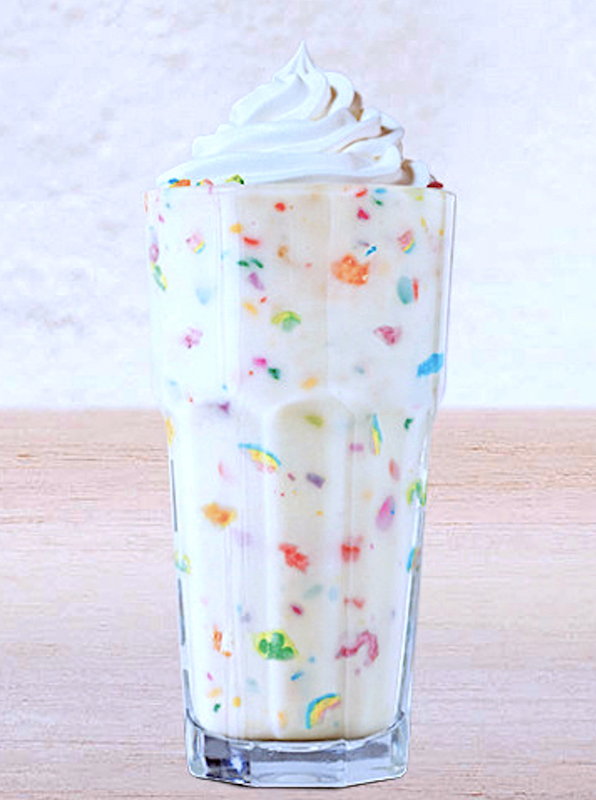 This week I reached out for a Lucky Charms Shake at the world’s No. 2 burger palace, Burger King, with 15,000 restaurants dotting this crazy blue marble. 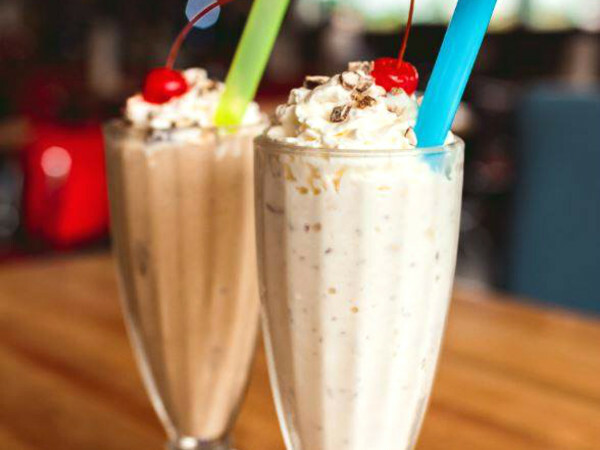 Think a great big bowl of the kids’ supermarket favorite, turned into a frosty shake, perfect for dessert. 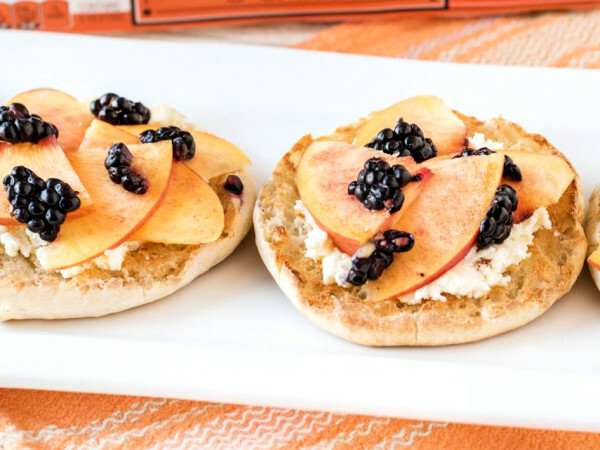 It may be the sweetest dumbing down of breakfast since Cap’n Crunch’s Choco Donuts. 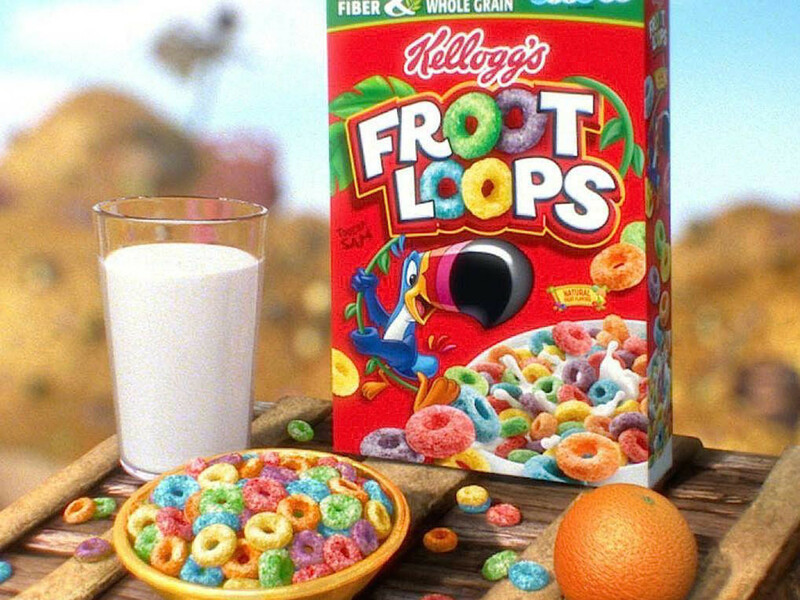 Or Burger King turning Froot Loops cereal into a shake earlier this year. Here’s the Lucky Charms breakdown: Cereal syrup, vanilla soft serve, whipped topping, and a handful of Lucky Charm’s mini-marshmallows on top. Total calories: 740. Fat grams: 17. Sodium: 580 mg. Carbs: 129 g. Dietary fiber: 2 g. Protein: 16 g. Manufacturer’s suggested retail price: $3 (give or take). The Froot Loops Shake must have banged the cash register pretty hard for Burger King to become serial cereal shakers. 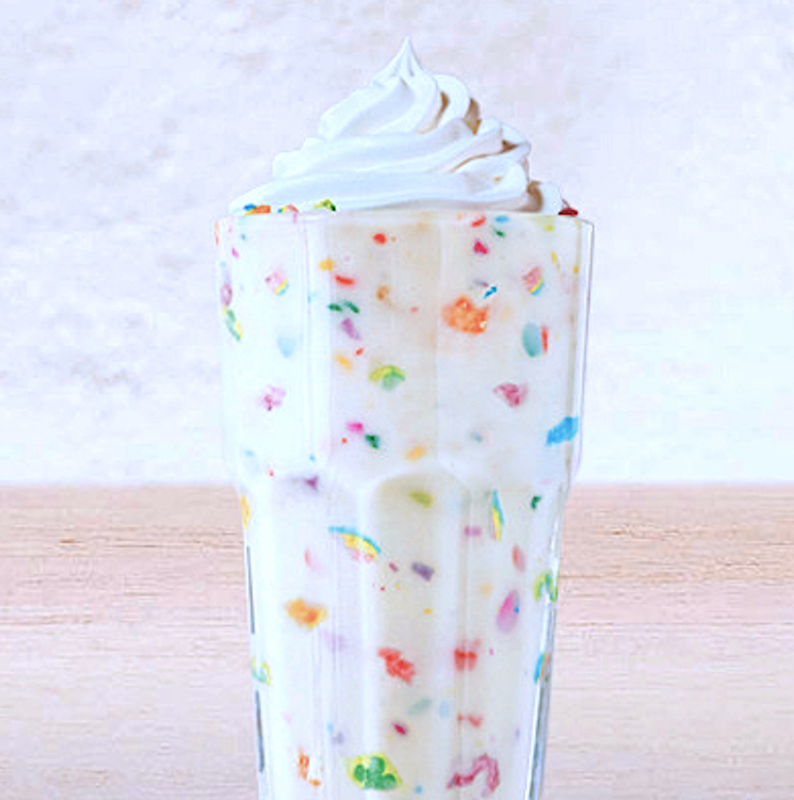 The Lucky Charms Shake starts with toasted oat-flavored syrup with a hint of marshmallow. Add vanilla soft serve, whipped topping, and bitty marshmallows and you have a gimmick that children in the backseat will swallow. 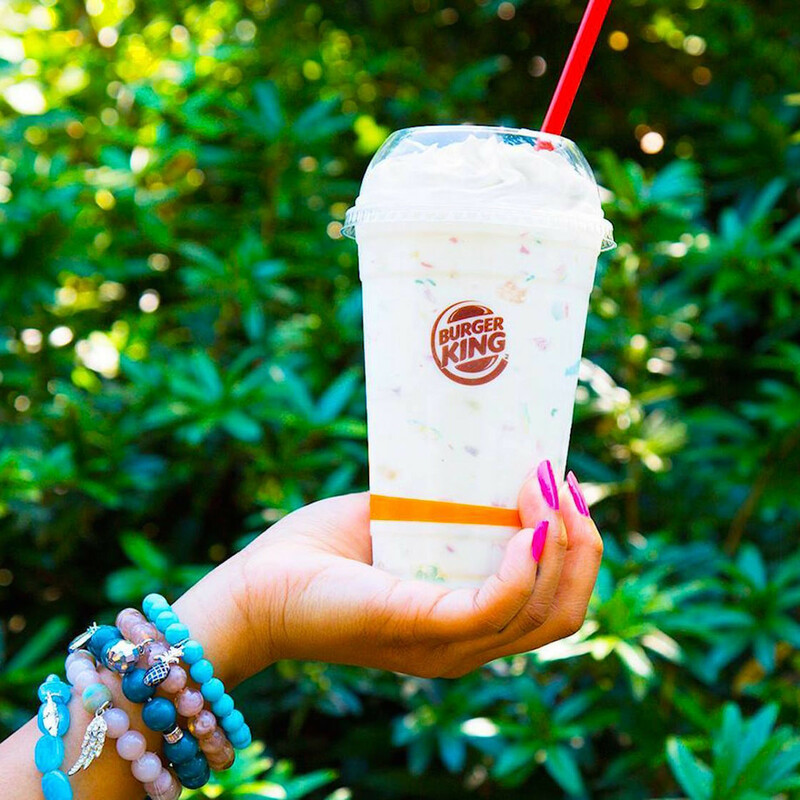 Burger King didn’t gamble when it picked which cereals to shake up. 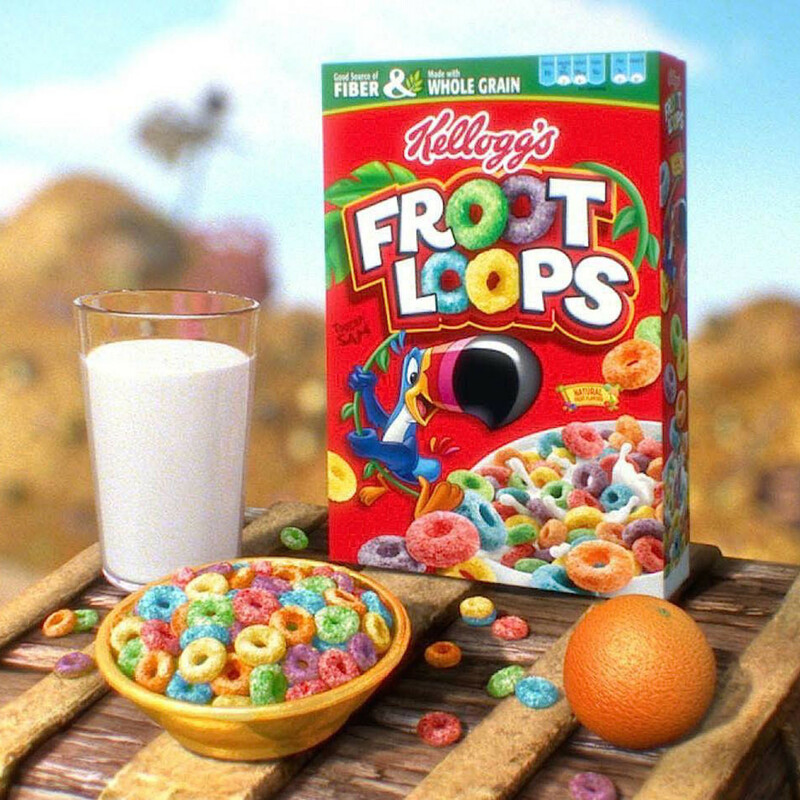 Both Froot Loops and Lucky Charms are in the Top 10 most popular cereals in the U.S. Froot Loops are No. 6, Lucky Charms No. 8. The top 5: Honey Nut Cheerios (1), Frosted Flakes (2), Honey Bunches of Oats (3), Cinnamon Toast Crunch (4), Cheerios (5). Coming between Froot Loops and Lucky Charms at No. 7: Frosted Mini Wheats. Hey, where’s my favorite cereal … Life? Handing me another disappointment, that’s where. Lucky Charms cereal was invented in 1964. 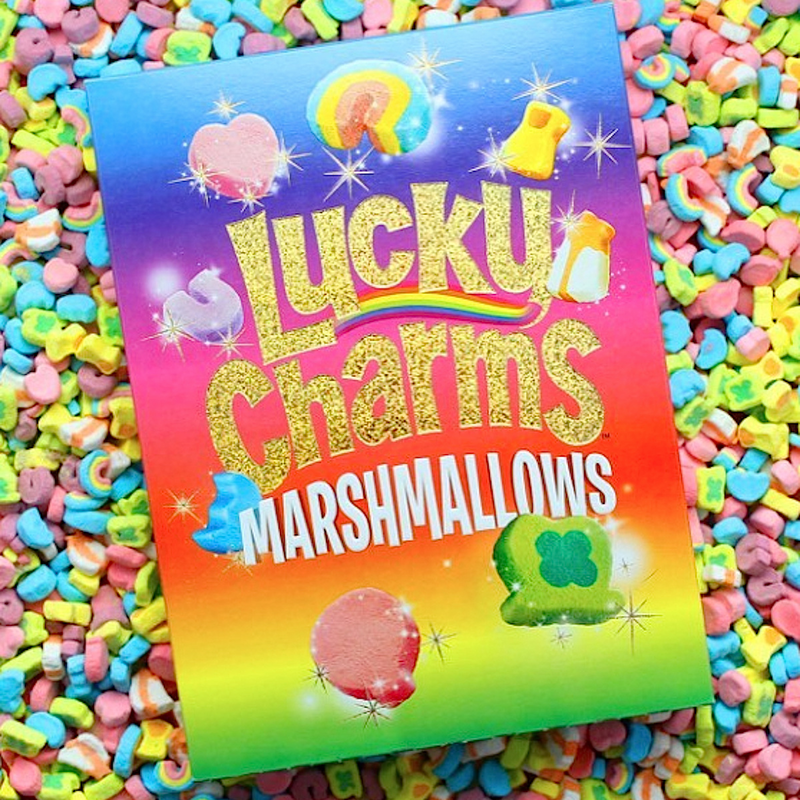 Occasionally there are special limited-edition marshmallow bits, but the eight enduring shapes are: hearts, stars, horseshoes, clovers, blue moons, rainbows, balloons, and hourglasses. 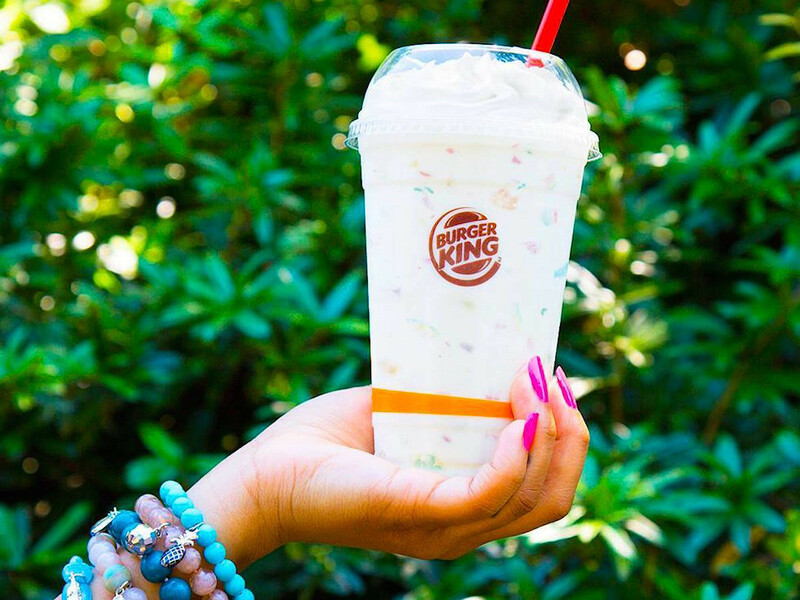 Here’s the thing about Burger King’s new Lucky Charms Shake – the one I guzzled for this review will be my last. Not because it was awful or I didn’t like it. Actually it was different and tasty. It’s just that I’m good with plain chocolate shakes, the hard stuff. If I’m in an ice cream shop, I ask them to make my chocolate shake with hot fudge instead of Hershey’s syrup. I’m not happy unless my shake is sludgy enough to fill potholes. Trivia question: In what song does Bruce Springsteen mention the phrase "lucky charms?" 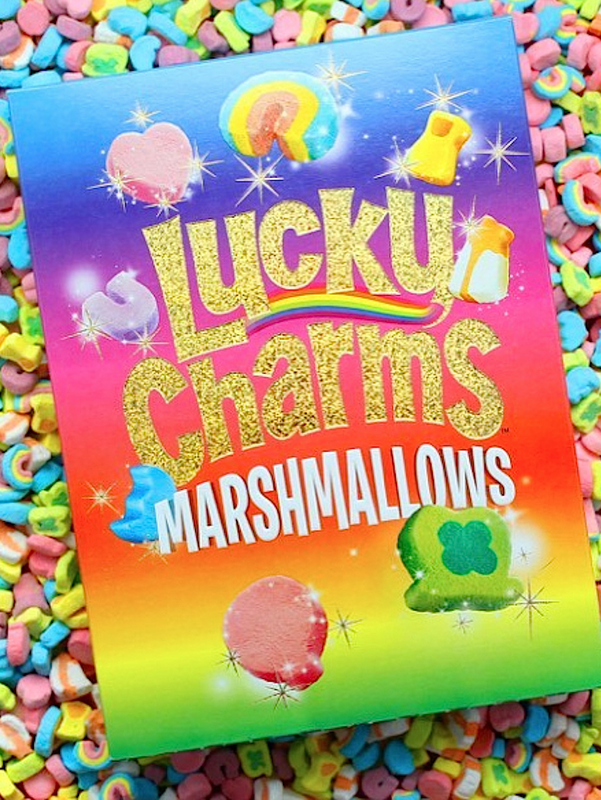 Bonus question: What is the name of the leprechaun on the box of Lucky Charms? Guessing General Mills’ marketing department didn’t put a whole lot of time into naming the leprechaun.